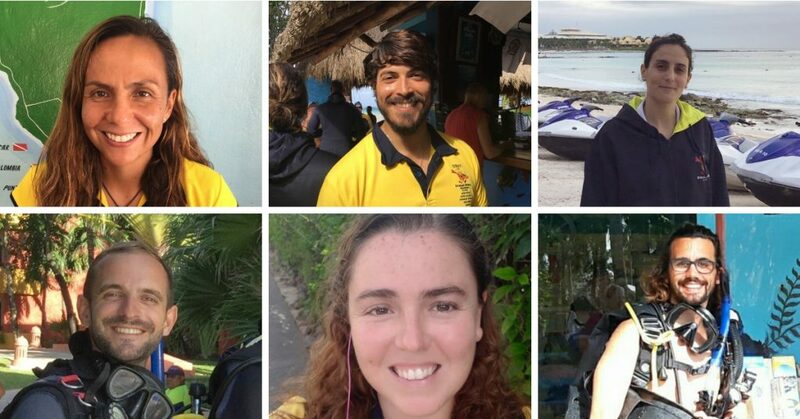 FAQ ABOUT US: Do you offer diving without certification? FAQ ABOUT US: Do you offer diving without certification? 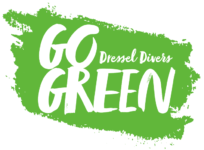 Can I go diving with Dressel Divers without certification? Yes of course! Just follow in the fin kicks of more than 85,000, that have done it with us before you. We offer the very safe and popular PADI Discover Scuba Diving Course which facilitates a real reef dives in minimum time. In one totally fun morning including a brief classroom meeting followed by a pool session, we take you right onto the reef, for an unforgettable experience as first time diver. And because we know you will like it YOU GET A SECOND DIVE FOR FREE! 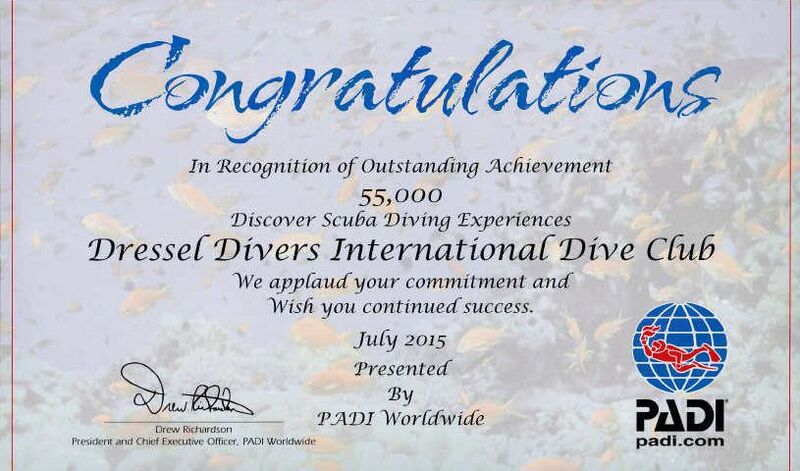 Dressel Divers has a long accident free history THEREBY DEMONSTRATING OUR STRONG ATTENTION TO SAFETY imparting this course and, as good proof of the amount of people that visited our diving school over time, in July 2015 Dressel received from PADI the Award for Outstanding Achievement offering the Discover Scuba Diving program to 55,000 students. Add to this the fact that for many years prior we offered a similar resort course as SSI Platinum Facility and the true number of participant’s on that date surpasses 85,000. 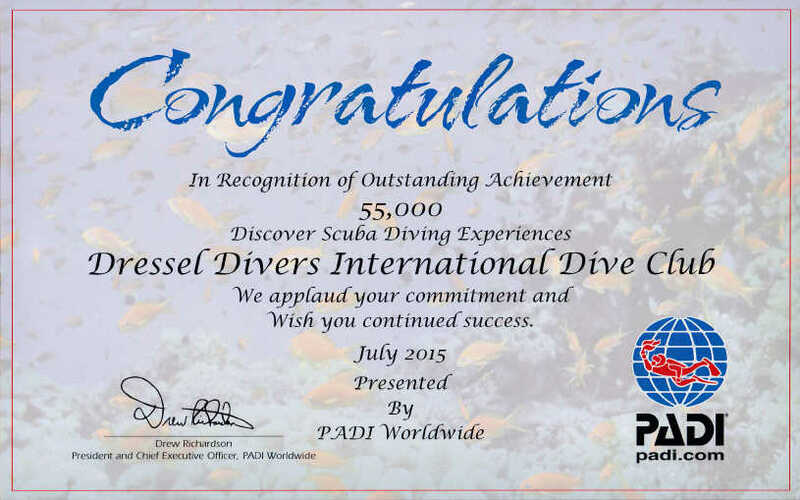 Thank you PADI for this fantastic award and especially to all the students that helped us achieve it. 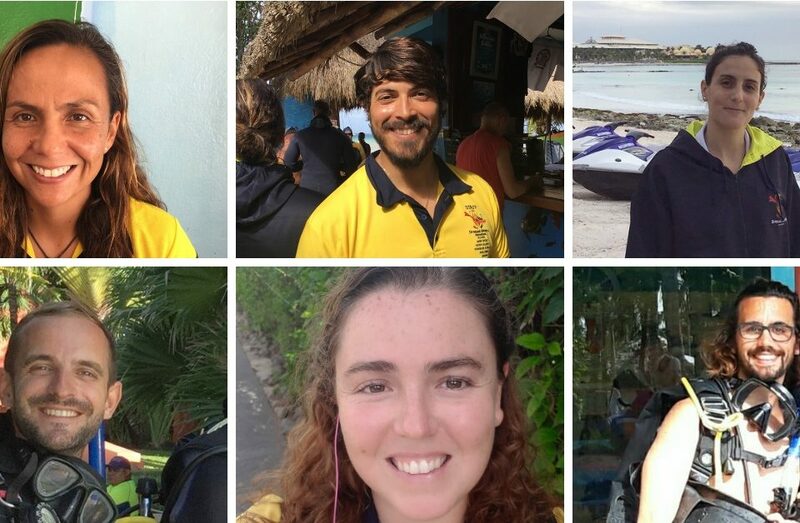 Note: The PADI Discover Scuba Diving course is a great option if you are limited on time and/or just want to try before deciding on a full course. Nevertheless getting PADI certified with Dressel Divers is by far the best option to dive not on just one sea side vacation but all of them, with the confidence and comfort of being a true diver.